A 22-YEAR-OLD man who allegedly disabled the brakes on a massive b-double truck at roadworks has been charged. The Warwick man allegedly pushed the emergency button on the outside of the truck, causing it to roll backwards towards parked cars. 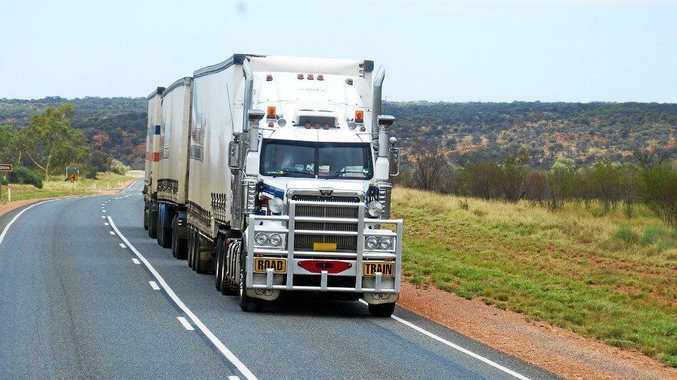 The truck driver inside the b-double was reportedly able to bring the truck to a halt before it crashed into cars behind him at the roadworks on the Cunningham Highway near Wheatvale. Warwick Senior Constable Gavin McLucas said the 22-year-old man was today charged with wilfully interfering with a mechanism or equipment on a vehicle. The man was allegedly affected by alcohol at the time of the incident. He will appear at Warwick Magistrates Court on June 27.